Cambridge University Press, 9780521286916, 188pp. A new volume of philosophical essays by Bernard Williams. The book is a successor to Problems of the Self, but whereas that volume dealt mainly with questions of personal identity, Moral Luck centres on questions of moral philosophy and the theory of rational action. That whole area has of course been strikingly reinvigorated over the last deacde, and philosophers have both broadened and deepened their concerns in a way that now makes much earlier moral and political philosophy look sterile and trivial. 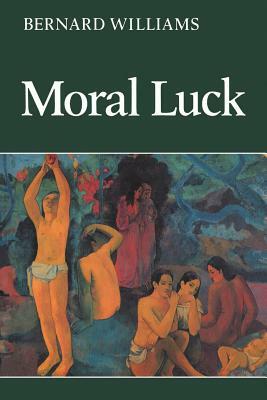 Moral Luck contains a number of essays that have contributed influentially to this development. Among the recurring themes are the moral and philosophical limitations of utilitarianism, the notion of integrity, relativism, and problems of moral conflict and rational choice. The work presented here is marked by a high degree of imagination and acuity, and also conveys a strong sense of psychological reality. The volume will be a stimulating source of ideas and arguments for all philosophers and a wide range of other readers.